Building strong, long-lasting relationships is part of the key to business success. One way to lay the groundwork for business relationships is to network. But not everyone enjoys networking. For people who are introverted or shy, networking can be the last thing they want to do, ever. Few things feel more awkward for some business owners than standing in a hotel conference room with a plate of cheese and crackers in one hand and a pile of business cards in the other. Fortunately, there are ways to network that aren’t so uncomfortable or cringe-inducing. Here’s what to do to make networking a more enjoyable experience, even if you’ve never liked it in the past. The good news: Not all networking events are created equal. Some are much better than others. The key is finding the better events and avoiding the awkward ones. For example, if the thought of 50 or more people meeting in a big public area gives you the chills, look for events that limit the number of attendees to 10 or fewer. If you feel uncomfortable at events that are designed to just be “mixers” or “meet and greets,” look for networking opportunities that have a specific activity behind them, ideally an activity you enjoy. For example, you can find a hiking club for business professionals or join a business book club. You’ll get to meet people and grow you network, but since “networking” isn’t the sole goal of the event, you’ll feel less pressure. Another key part of running a successful business is knowing the strengths of your employees. 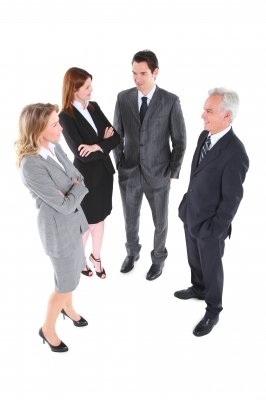 Perhaps you have a colleague who is very adept at approaching new people or making small talk. Bring that person along to be your wing person at your next marketing event. He or she can approach people and introduce both of you and your company. Just make sure you don’t depend on your associate too much during a networking event. It can also be helpful to spend some of the event on your own, talking to new people. Your associate can be there as a back-up, so that you have someone to talk to or connect with when you’re feeling uncertain about what to do next. Go to each networking event with a specific goal in mind, one that you can easily achieve over the course of the event. For example, if you’re shy, don’t make your goal “get 100 business cards.” Instead, make a goal that’s something along the lines of “have a decent conversation with one other person.” If you know who will be at the event, decide who you’ll try to approach before you get there. Pick a few different people, and make your goal to speak to at least one of them. That way, if you choose one particularly popular person and one less popular person, you can speak to the less in-demand person and still achieve your goal. Some people view networking as a quantity over quality game. While it can feel great to leave an event with a huge stack of business cards, what you do with those cards when you get back to the office is what matters. It’s better to have just one card or two and follow up with the people you met rather than have 50 cards that you stick in a rolodex and never look at again. Once you get back to work after the event, send a short email to the people you met. Mention that it was great to meet them, rehash something that you spoke about at the event or bring up anything memorable that happened. Think of this message as a giving message rather than an asking message. Don’t ask your connection to do anything for you. Instead, make suggestions or offer to help them in a way that seems relevant. New Direction Capital understands the importance of building long-lasting, thriving business relationships. Contact us today to learn more about how our CFO services can help you grow your business and move to the next level.